Planning permission is needed when undertaking certain types of building works. It is granted or refused by local planning authorities such as a planning department or council, who may also impose certain conditions when approving a proposed project. It is the responsibility of individuals to seek planning permission before any work begins. Planning permission is typically required when building anything that is new or when making a major change to an existing building, such as adding an extension. In some cases, permission is may also be needed when changing the use of an existing building. Individual local planning authorities set out specific rules related to when planning permission is needed. In order to determine whether planning permission is required, it is important to contact the local planning authority. 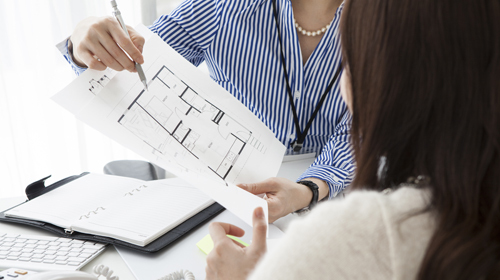 Although minor changes to a building or small projects generally do not require planning permission, a local planning authority may still require approval in certain circumstances. Planning permission is also generally needed in designated areas. For example, designated areas such as a Conservation Area, a National Park, an Area of Outstanding Natural Beauty, and the Norfolk and Suffolk Board may require special planning permission depending on the local area. Loft conversions or building an outbuilding, conservatory or porch will typically need planning permission if the project is in a designated area. Planning permission may also be needed for minor changes in listed buildings. Minor changes to a building typically do not require planning permission. This is known as permitted development rights. In England and Wales, building projects that typically have permitted development rights include industrial premises and warehouses, as well as some outdoor signs and advertisements. Planning permission is also not needed to knock down a building, unless a local council restricts demolition. Projects that have no impact on neighbours, nearby buildings or the environment might also not need planning permission. As a general rule in Scotland, permitted development applies for small projects that will not have an impact on the surrounding area. Loft conversions, erecting a porch, building an outbuilding and conservatory generally do not require planning permission. Converting a basement also typically does not require planning permission if the project does not create a separate unit of accommodation, alters the appearance of the building, or involve major works. Planning permission is not generally required on various projects, including replacing a floor or ceiling, internal decorating, repairing or improving existing windows and doors, installing or replacing electrical circuits, repairing or undertaking minor works related to drains and sewers, removing or improving an existing fence, installing or replacing a boiler or heating system, repairing a roof or installing most roof lights and skylights, installing a kitchen or bathroom, and fitting insulation. However, planning permission may be needed if these works change the building's external appearance or if projects are in a designated area or listed building. It is important to contact a local planning authority to understand which projects are exempt from seeking planning permission. When planning permission is required, an application must be made to the local planning authority. The local authority will grant planning permission if the project is aligned with its development plan. When making the decision, various aspects of the project will be assessed include the size, layout and appearance of the building. The local authority will also assess what infrastructure is available to support the development, such as utilities and roads. They will also consider the intended use for the building, landscaping needs, and how the project would affect the surrounding area. If planning permission is denied, a decision may be appealed.